Today we took a long ride up Belair Road all the way to Rocks State Park. We walked and walked up a long winding pathway, stopping to take a breath here and there, careful not to trip on the roots of the trees, or the big gray and green rocks on the path, and we kept going up and up. Until finally we reached the top. And there was a huge stone overhang – just sticking out of the side of the mountain we were on – and the rocks were piled impossibly high and huge and tilted out over the deep valley. 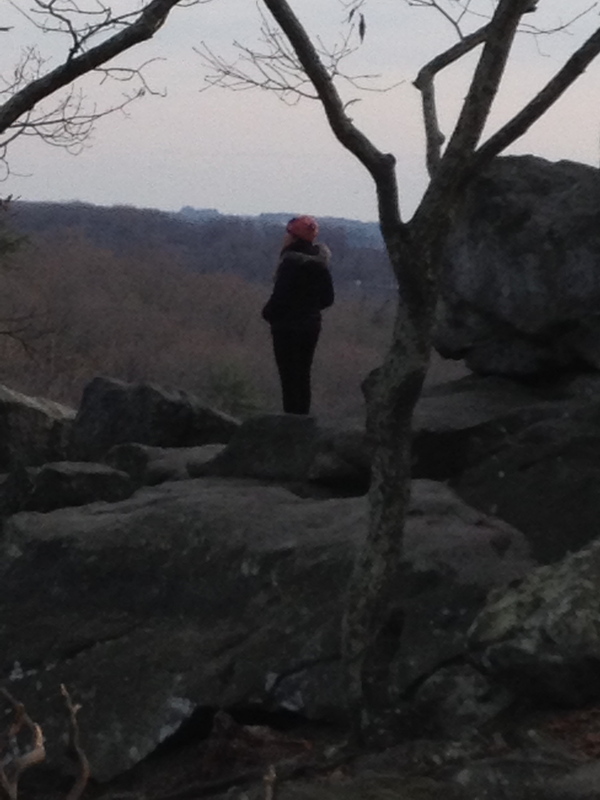 We climbed on top of these rocks and walked out to the furthest edge. And we towered above everything – there was nothing right below us. And we realized – it wasn’t the vista we came to see. We came to see ourselves in such a glorious and fearless position. The beauty of striving! Of imagining ourselves in such a place…at the Summit! If Not Now, When? Afterschool. Presenters Include: Howard Fuller, MICA, The Park School, Jay Gillen, Baltimore Improv, Southwest Baltimore Charter School, Sam Chaltain, City Neighbors Hamilton, The Green School, Nancy Shelton (UMBC) and Bess Altwerger (Towson), City Neighbors Charter School, Baltimore Montessori Public Charter School, Halley Potter, Kristina Berdan and Youth Dreamer, The Baltimore Curriculum Project, City Neighbors High School, Teacher/Artist Institute, The GreenMount School, Drew Freeman Middle School (PG County), Creative City Charter School, The Working Together Initiative, Digital Harbor Foundation, TIES, Baltimore Green Map/Place, Convergence, The Community Play School, RENEW/BYHIS, Future Makers, and more. You are invited to the Summit!